“You can’t skip the process. You can’t shortcut the process. You can’t speed up the process .You have to go through the process” –Pastor Kris Duerksen, this Sunday morning. Ugh, how I love-hate the process. On one hand, the process is glorious. I have it emblazoned on the header of this blog: “Life is a grand adventure, or nothing.” It could also read, ‘If you’re not struggling you’re not living.” There is something exhilarating about the tension of being far less than what you see yourself being. You’re not comfortable, but at least you know you are alive. Your aching muscles keep reminding you. 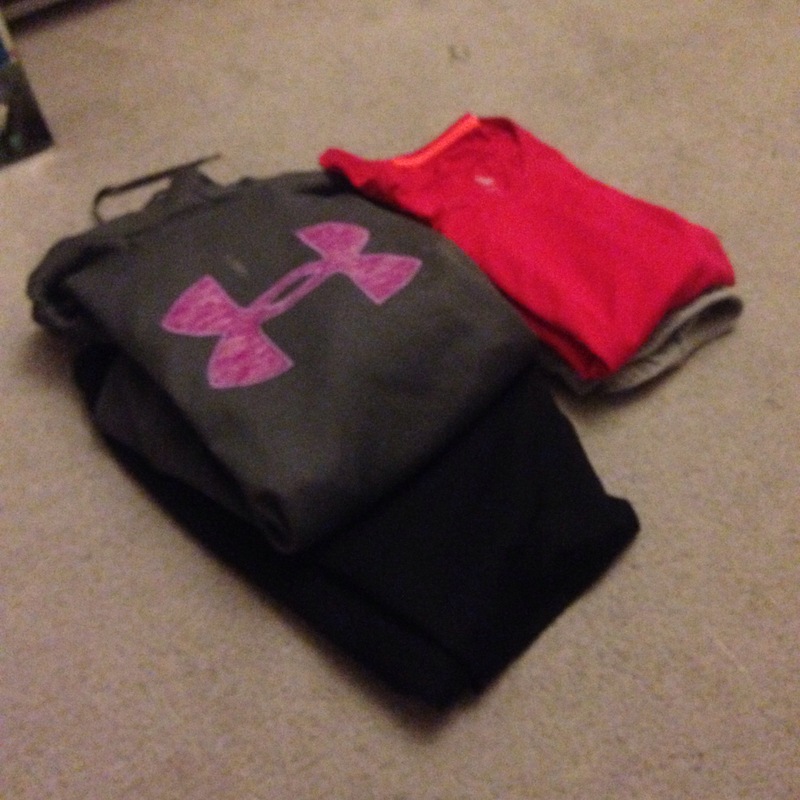 My clothes are laid out for tomorrow’s tempo run. But if you’re like me, you think you should have your life together already, know what I mean? In example, how long does it take to get my finances in order? Can I just expect to be broke for the next ten years? Why can’t I muscle my way into a better monetary place? Well I am, sort of, in a better place than even two months ago. Still, it’s hard to believe I could ever rise above. The quote above reinforced in me this idea: It’s no use beating myself up about it. I’m such an expert at self-flagellation. I remind myself every second minute that I’ve yet to reach my goal of perfection. But I can’t fix (insert problem here) by guilt-tripping myself. I’ve got to keep powering along, trusting that each incremental change takes me closer to freedom. I also have to trust that God is working in me, and that even though I’m tired, he isn’t. He won’t give up on me. So, with that in mind, here’s a motto I picked up along the way. “The only way to go back is to go forward.” I utilize this during longer runs, when I’m still at the pre ‘runner’s high’ stage and asking myself why I’m doing this to myself again, or near the end when my legs have had enough. “Well how will you get home if you don’t keep going, huh?” You don’t get home by sitting there. You don’t get better by bailing on the process. The process is sometimes fun. My first couple weeks of half-marathon training were fantastic. I longed for the end of the workday when I could hit the gym, or the pavement. But now I’m stressed, and kind of terrified. I think it will become fun again. Maybe, that’s just my interpretations from what i thumbed across your writings, if i’d misinterpreted you, then, my mistake!